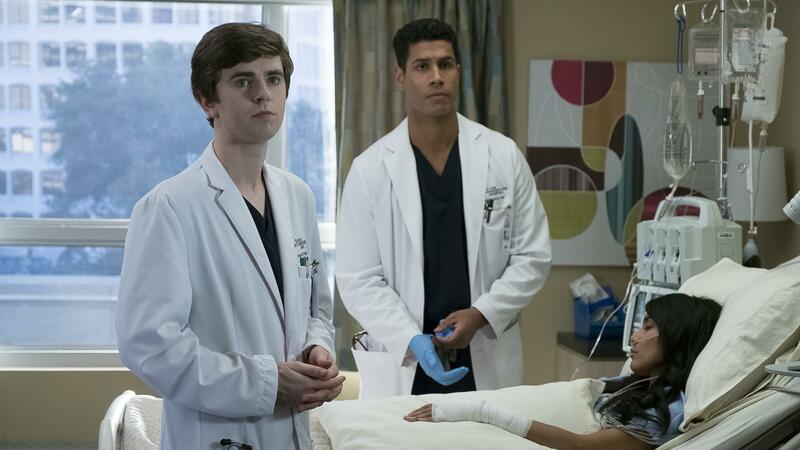 Uproxx TV critic Alan Sepinwall joins the panel to talk about the big broadcast hit of the current season: The Good Doctor. Hospital shows are a network TV staple. There are more than 625 episodes of just and combined â and is still going. Just as last, ABC has gotten lucky with the hospital show . Part , part part , and based on a Korean television show, stars Freddie Highmore as Sean Murphy, a surgical resident with autism, and Richard Schiff as the supervisor and mentor who tries to protect him as the world and the hospital place obstacles in his way. Podcasts like '2 Dope Queens,' 'Pod Save America,' and 'Welcome to Night Vale' are all making the transition to networks including HBO and FX. The report finds that broadcast TV and children's series are increasingly diverse, but people of color remain underrepresented on all fronts, including lead roles, writers, directors and showrunners. In a press conference, Thursday prior to release of a redacted version of the Mueller report, the attorney general stressed there was "no collusion" and provided insight on obstruction of justice.